All students hoping to participate in athletics, whether practices and/or games, must annually submit a completed medical statement to the office of the School Nurse. This paperwork consists of an Emergency Information, Health Assessment, and Physical Exam form. These documents can be found on the Health Services page. Among the missions of Park School Athletics is affording students the opportunity and information necessary to enjoy competition and sports. Providing a Certified Athletic Trainer (AT) has aided our student-athletes in attaining that goal since 1996, and bolstered a tradition of nurturing wellness, confidence, and a greater understanding of the mind and body. This page provides an overview of Park's athletic training facilities and staff and offers occasional news and details regarding becoming, and remaining, a healthy Bruin. The Park School took an important step in advancing the safety and well-being of its student-athletes when, in 1996, we contracted with a local clinic in order to obtain the services of a Certified Athletic Trainer (AT). Several years later, in 2001, the new Park Athletic Center was constructed, the outreach arrangement was dissolved, and the AT position became a permanent fixture among the faculty and staff. 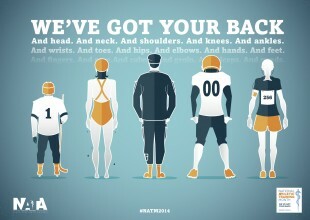 What is an ATHLETIC TRAINER anyway? 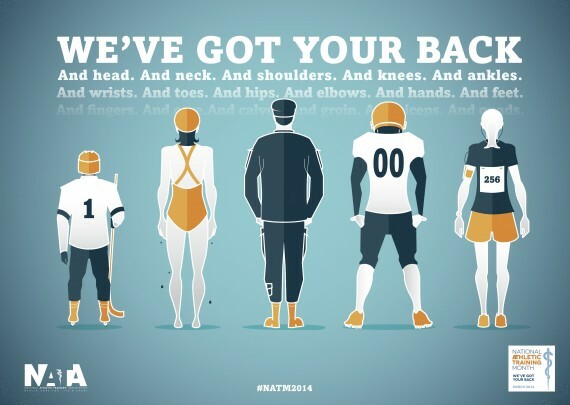 As described by the National Athletic Trainers' Association (NATA), Athletic Trainers are licensed "health care professionals who collaborate with physicians. The services provided by ATs comprise prevention, emergency care, clinical diagnosis, therapeutic intervention and rehabilitation of injuries and medical conditions." ATs work under the direction of physicians, as prescribed by state licensure statutes. They are a diversely educated group, schooled in both acute injury care - such as sprains, fractures, and concussions - as well as more chronic conditions like tendinitis, stress fractures, and various overuse syndromes. As referenced in the NATA description above, emergency care, triage, and rehabilitation are all hallmarks of the profession and, like any medical professional, our education is ongoing. ATs must complete CPR and AED training as well as "continuing education units" to maintain their certification. At Park, student-athletes of all ages and levels of play are cared for in the Athletic Training Room (ATR), located adjacent to the Lyn P. Meyerhoff Fitness Center within the Athletic Center. Generally on campus from approximately 10:00 am until 6:00 pm, the AT is available during the school day for injury evaluation and rehabilitation as well during the afternoon at practices and all home games. All injuries should be reported to the AT. Athletes who suffer conditions requiring treatment or evaluation by a physician or other medical professional should explain to said individual that they have an AT at their school that can provide certain treatments and follow-up care, and should request a note detailing their diagnosis and any instructions/limitations. This documentation should then be submitted to the AT and is required for return to play.